The issues of women’s health and hygiene, sanitation, gender inequality and legal/civic rights are detrimental not only for women’s welfare but also for the development of our society. Women are our country’s strength and they are entitled to live a life of respect, dignity, good health and equality. 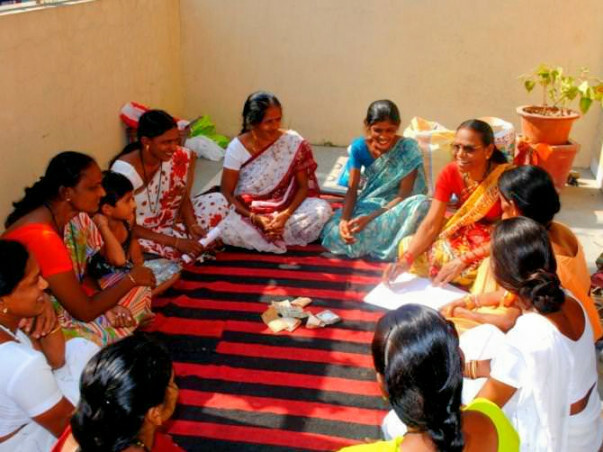 Project Asmita aims at addressing these important issues impacting rural women through dialogue and awareness. Under Project Asmita, several awareness camps and empowerment initiatives will be delivered in rural areas and urban slums through field partners ( trained NGOs & Volunteers). The camps will touch upon topics of menstrual health and hygiene, sexual wellness, maternal and reproductive health, mother-child nutrition and good touch – bad touch. 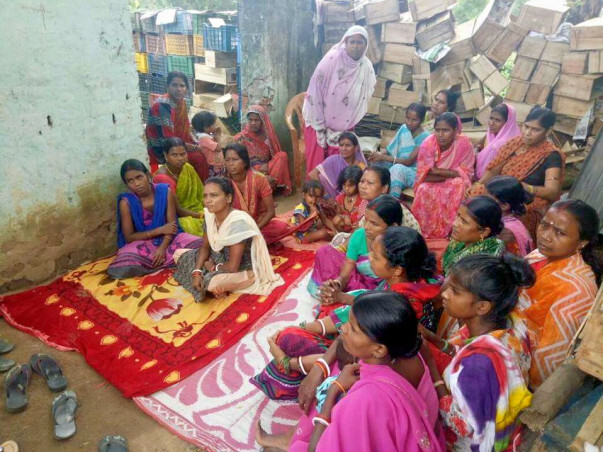 The women will also be made aware of resources to reach out for help and government schemes and provisions focused on women’s welfare and development. 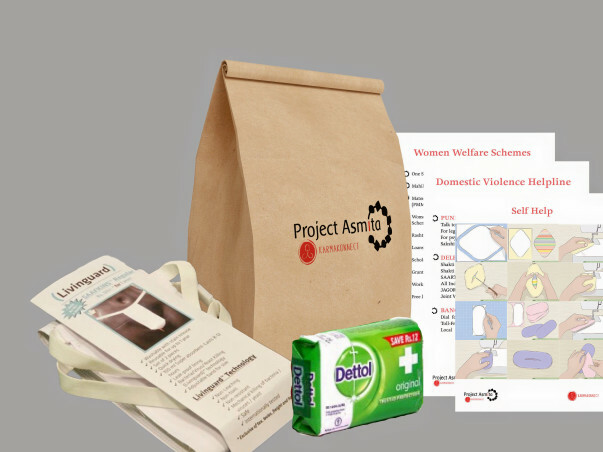 At every awareness camp, Asmita kits will be distributed among women following the presentation. 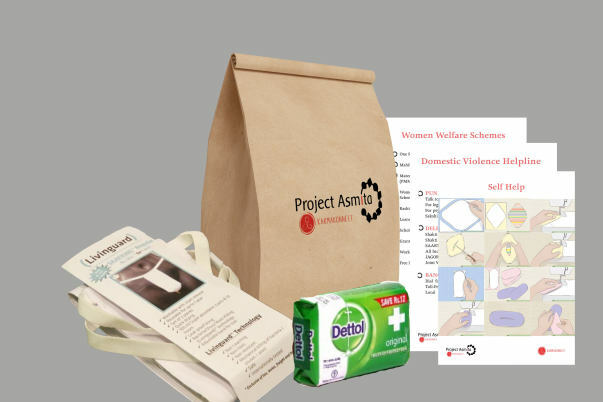 Asmita kits would include female hygiene products and booklets consisting information on safe hygiene practices, helpline numbers, government schemes and self-help literature. 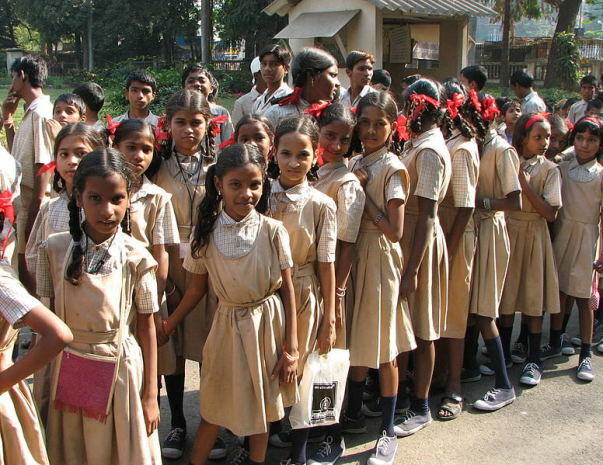 Donate an Asmita Kit : One-year supply of re-usable eco-friendly sanitary napkins made from German Technology (SaafKins), hygiene products and self-help literature. Includes travel and camp expenses. 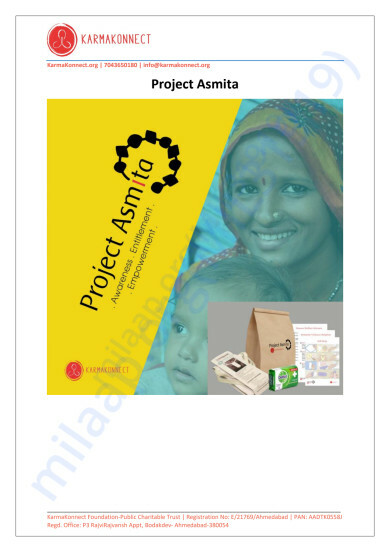 Donate 5 Asmita Kits : One-year supply of re-usable eco-friendly sanitary napkins made from German Technology (SaafKins), hygiene products and self-help literature. Includes travel and camp expenses. 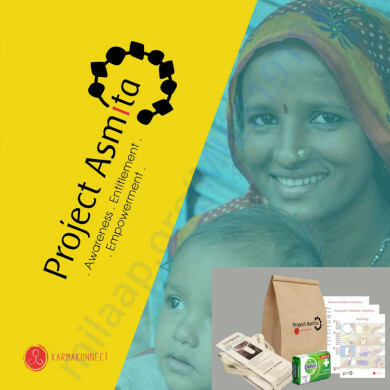 Donate 20 Asmita Kits: a One-year supply of re-usable eco-friendly sanitary napkins made from German Technology (SaafKins), hygiene products and self-help literature. Includes travel and camp expenses. 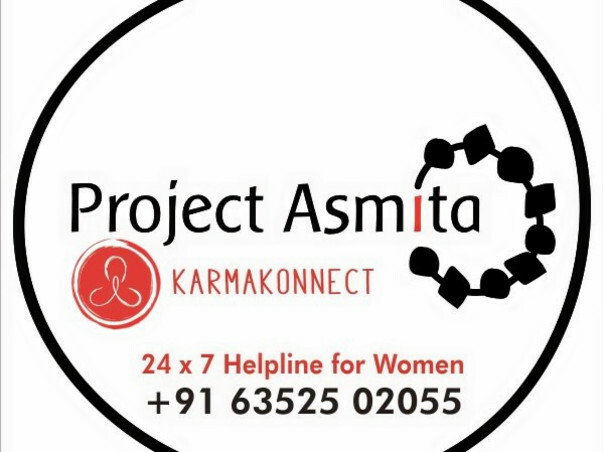 As a Part of the Project Asmita Initiatve, KarmaKonnect in collaboration with its partner NGO’s is continuing to educate and empower the rural and urban-rural women of India. 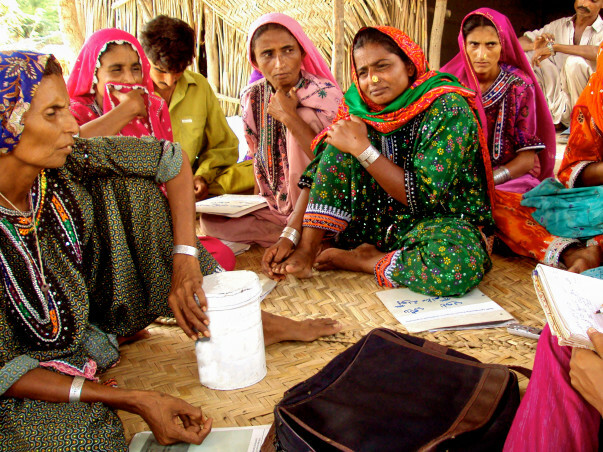 The idea is to spread awareness about the common issues facing women which the rural women are not aware of. We launched the project on March 8th, 2018. So far, we have impacted and supported over 600 beneficiaries directly and over 1500 indirectly through their community trainers. We have successfully delivered several camps across India. 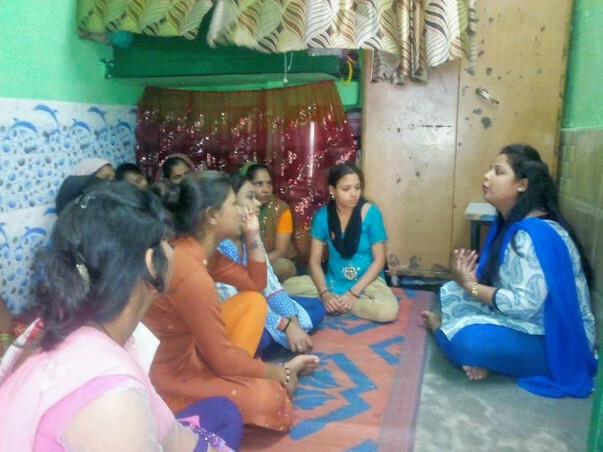 Future Asmita Camps: We aim to maximise the effect of this project by reaching put to as many women as we can. For this we need your help. 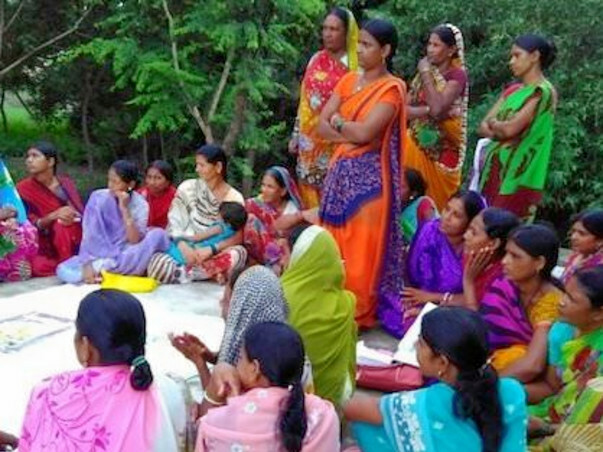 Your contribution can help us reach far more places to empower and educate women. Month Date Location No of Beneficiaries August 25-Aug Girls Govt School Murthal Road Sonipat 200 4th week Govt school Narsinghpur 200 September 1st week Okhla Slums (Delhi) 100 2nd week Indira Kalyan Vihar (Delhi) 100 3rd week Kheda Village (Uttarakhand) 200 4th week Girls Govt School Village Kiloi Rohtak 200 October 1st week Manesar(Haryana) 100 2nd week New Sanjay Colony (Delhi) 100 4th week Narsan Uttarakhand 200 November 1st week Manesar(Haryana) 200 2nd week Tuglakabad Slums (Delhi) 100 4th week Gurukal (Uttarakhand) 200 December 1st week Binola Manesar (Haryana) 100 2nd week Uttarakhand 200 3rd week Okhla Slums (Delhi) 100 4th week Bgont School Roorkee 200 Timely updates about the latest camps can be found on our social media accounts. Thank you all for the love and support towards Project Asmita Workshops to be conducted by Mitva in May-June across Gujarat. We have circled in municipal schools in Ahmedabad and Rural Sanand, and are ordering the Asmita Sanitary Napkins for the kits to be distributed after the Asmita Workshop. Please like our Facebook PAge: KarmaKonnectIndia to get more details and pictures on ongoing Asmita camps. Thank you Mitva Patel for your initiative for the society.